Victory Windows have served the whole of Hampshire for over 25 years with top quality Double Glazing installations at industry leading prices. Over the years we’ve undertaken many Double Glazing installations across the Swanwick area and the surrounding areas including projects in Warsash, Sarisbury Green and Whiteley. No job is too big or too small for Victory Windows, your local Double Glazing experts. Call us today on 02392 824006 or 02392 666955 to arrange a quotation with a local Double Glazing expert. Our free upgrades to A-rated Double Glazing in Swanwick ensures that our product, which is especially designed to withstand the often volatile British weather, cannot be beaten in terms of thermal efficiency or performance by any other window available in the UK. 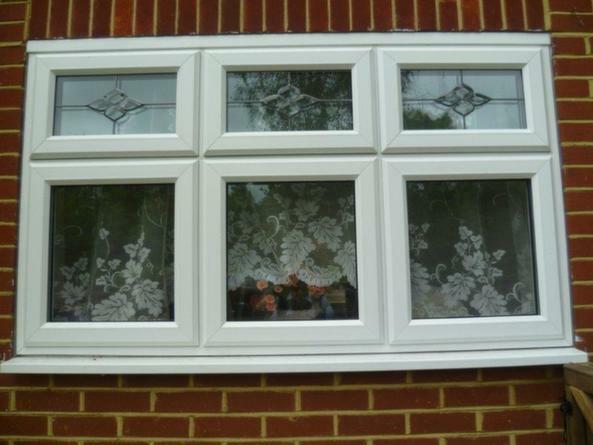 We’ll take the hassle of replacement Double Glazing in Swanwick away from you. Whether you’re looking for just a straight forward like-for-like replacement or you have a dream project in mind, we’ll make sure that your new Double Glazing in Swanwick is supplied and installed seamlessly. Let us handle the difficult parts, you can just sit back, relax and enjoy. Moreover, with no deposit and no pushy sales people there’s no risk and nothing to worry about. If you haven’t got anything particular in mind we’re happy to use the benefit of our experience to help you find the perfect solution for you. We appreciate that when it comes to replacement Double Glazing in Swanwick there is so much to consider. Do you want decorative or bevelled glass? What colour would you like the frame? Does the window need to double up as a fire escape? Do you need more openings than you currently have? These are all questions that we can help you answer as part of the process to completing your dream Double Glazing project in Swanwick. We don’t hire any pushy Sales people, call us old fashioned, but we prefer a good personal service and an opportunity for you to speak with a trained double glazing installer where we can measure up, go through your ideas and get the best product at the best price for you. Not employing represantives means that we cut commissions out completely, meaning that we’ll be saving you up to 28% on any other quotation. You can get a quote for Double Glazing Swanwick instantly online by clicking here and using our Double Glazing Quote Calculator. Alternatively, click here to contact us or call 02392 824006 or 02392 666955 to speak to a member of our friendly team.